Plot: The Passion of the Christ -- THE PASSION OF THE CHRIST is a film about the last twelve hours of Jesus of Nazareth's life. 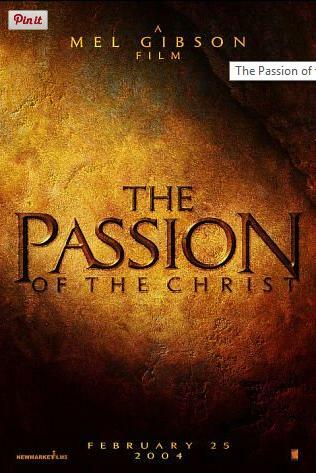 The Passion of the Christ -- A film detailing the final hours and crucifixion of Jesus Christ. Nominated for 3 Oscars. Another 23 wins & 15 nominations. Taglines: One man changed the world forever. I've heard so much about this film, both positive and negative, that I had to see it in order to judge for myself. Surprisingly, my friend Kenny, an Orthodox Jew, suggested that we see it together. Please understand that what I say in this review, both positive and negative, is purely subjective. These are my own opinions based on how the film landed on me as I was watching it and also how it stands in my memory. Unfortunately I was not able to write this review until 2 days after seeing the film. Since many of my friends in the Jewish Community have had nothing good to say about the film, I will first address some of my own thoughts regarding what I found to be positive aspects of the film. Firstly I found the cinematography, acting, directing, and music to be astoundingly beautiful. The sights and sounds succeeded in conveying the religious atmosphere and setting which the directors intended. 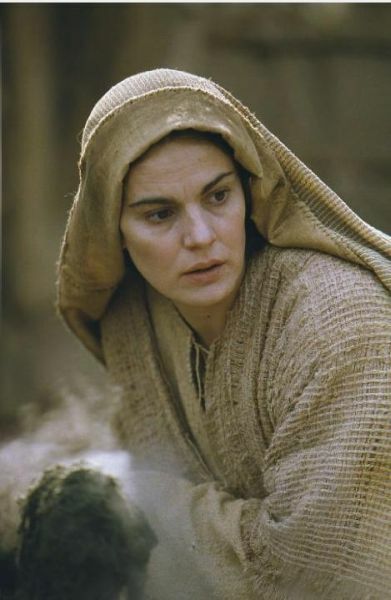 Maia Morgenstern's portrayal of Mary, mother of Jesus, was mesmerizing as was that of Rosalinda Celentano in the role of Satan. The actors who played Peter, John the Beloved Disciple, and Mary Magdelene were not particularly notable and Gibson could easily have cast other good actors for these without any appreciable loss of characterization. I also found the use of ancient languages very innovative and I didn't mind reading subtitles at all. I excuse the historical inaccuracy in the use of Latin among the Roman occupiers. Anyone knowledgeable about the first century CE is aware that Latin was not used in Judea and Galilee; the lingua franca of the Middle East was either Aramaic or Greek. Roman occupying soldiers may have spoken Latin in the areas that ultimately became Portugal, Spain, France, Italy, Rumania, and Britain. But in those areas originally Helenized by Alexander the Great, Greek was the official language of government and commerce. That is why the New Testament came to be written in Koine Greek rather than Latin. The problem of historical inaccuracies will be further discussed later in the review. As to the Aramaic, any Jew who knows liturgical or modern Israeli Hebrew, or TALMUDIC Aramaic, can readily understand at least 20 to 25 percent of the dialogue without resort to the subtitles. I was pleasantly surprised that I was able to understand at least 10 to 15 percent of it. These are the things that I found particularly negative or unpleasant. The actions in the film are presented in raw form, without any historical or religious context at all. Anyone who is not familiar with the events of the Gospel story comes in during the middle of a scene that makes no sense whatsoever, and he/she is at a loss as to what he/she is witnessing. The movie opens with Jesus praying in the Garden of Gethsemene, being accosted by Satan telling him that his task is undoable, and later, after crushing Satan as serpent underfoot, finding his disciples, whom he had asked to remain vigilant, asleep. My friend Kenny immediately felt the need to lean over and ask me what it all meant and who were the people on the screen supposed to be? I wound up spending most of the film doing a running commentary for his benefit so that he would get some grasp of the essential background of the events being shown. I'm sure the people in the theater sitting nearby were not happy with that but no one said anything. Maybe they needed explanations as much as Kenny. 5 But he was wounded for our transgressions, he was bruised for our iniquities: the chastisement of our peace was upon him; and by his stripes we are healed. 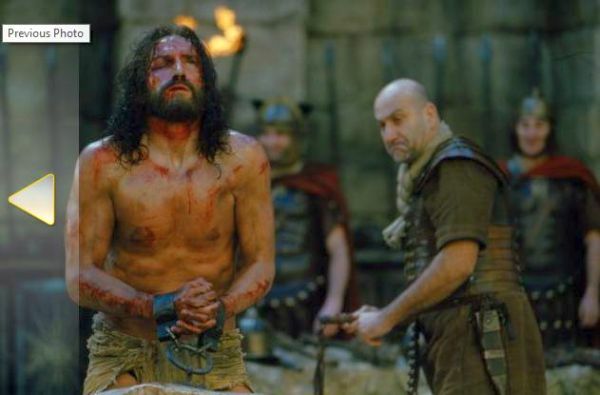 No previous film, neither JESUS OF NAZARETH nor KING OF KINGS nor THE GREATEST STORY EVER TOLD nor THE LAST TEMPTATION OF CHRIST, has dwelled on the utter torture of Jesus so much as has THE PASSION. You might say that these films of the 20th century lacked the sophistication and movie realism that 21st century moviegoers expect. But it is more that that. This is my theory and anyone can feel free to send me his or her own opinion of what I think about this issue of unrelenting violence. "The Way of the Cross (Also called Stations of the Cross, Via Crucis, and Via Dolorosa). These names are used to signify either a series of pictures or tableaux representing certain scenes in the Passion of Christ, each corresponding to a particular incident, or the special form of devotion connected with such representations. His body is taken down from the cross; and laid in the tomb." Each of these "stations" is fully depicted in the film. Note that the road taken by Christ, leading to the hill upon which he was executed is called VIA DOLOROSA, "the Painful Way." The very name of the film, PASSION, comes from a Latin word that means "suffering". The most brutal scene of the whole affair is that in which Jesus is unmercifully scourged with canes and whips containing sharp metallic ends that literally pull the flesh out of his back. "The Romans would, according to custom, scourge a condemned criminal before he was put to death. The Roman scourge, also called the "flagrum" or "flagellum" was a short whip made of two or three leather (ox-hide) thongs or ropes connected to a handle. The leather was knotted with bones, or heavy indented pieces of bronze. Sometimes the Roman scourge contained a hook at the end and was given the terrifying name "scorpion." The criminal was made to stoop which would make deeper lashes from the shoulders to the waist. According to Jewish law ... the number of stripes was forty less one (Deut. 25:3) ... punished by scourging before the judges. Nevertheless, scourging among the Romans was a more severe form of punishment and there was no legal limit to the number of blows, as with the Jews. Deep lacerations, torn flesh, exposed muscles and excessive bleeding would leave the criminal "half-dead." Death was often the result of this cruel form of punishment though it was necessary to keep the criminal alive to be brought to public subjugation on the cross. The Centurion in charge would order the "lictors" to halt the flogging when the criminal was near death." "As the Roman soldiers repeatedly struck the victim's back with full force, the iron balls would cause deep contusions, and the leather thongs and sheep bones would cut into the subcutaneous tissues. Then, as the flogging continued, the lacerations would tear into the underlying skeletal muscles and produce quivering ribbons of bleeding flesh. Pain and blood loss generally set the stage for circulatory shock. The extent of the blood loss may well have determined how long the victim would survive on the cross." It shows a man being flayed alive - slowly, methodically and with increasing savagery. We first of all witness the use of sticks, then whips, then multiple whips with barbed glass or metal. We see flesh being torn out of a man's body. Just so that we can appreciate the pain, we see the whip first tear chunks out of a wooden table. Then we see pieces of human skin flying through the air. We see Jesus come back for more. We see blood spattering on the torturers' faces. We see muscled thugs exhausted from shredding every inch of this man's body. And then they turn him over and do it all again. It goes on forever. And then we see his mother wiping up masses and masses of blood. It is an absolutely unforgivable, vile, disgusting scene. No human being could survive it.... It is very possible, and perhaps even probable that Gibson did not do much to dampen the elements of the story which have often been perverted into anti-Semitism. This is irresponsible of him. As Andrew Sullivan says, "Anti-Semitism is the original sin of Christianity." He should definitely have taken steps to be sure that his work is not interpreted as part of that tradition. Through the interviews I have seen with him, I don't believe he does that very well at all." The men who are scourging Jesus in the film are depicted as monsters who actually seem to enjoy what they are doing. Towards the end of the scene, just when you think that it is going to go on forever, a Centurion orders them to stop in order not to kill the prisoner. By then, Jesus' body looks like some reptilian scaly mess. At this point, Kenny leaned over to me and said, "This is the most boring picture I have ever seen, and who can look at this stuff?" Again, he was watching a story whose entire context escaped him. And he kept asking me over and over, all through the film, "What is he being punished for? I don't get it! Are you telling me people did this to him just because he said he was the MESHIACH? That's a crock!" "No", I said. "Listen to the dialog. He supposedly said that he was the son of God and that if the Temple were destroyed he could build it back up in three days." "So? ", Kenny asked. "They don't beat you up for that. They stick you in an asylum." This brings me to two points, history and story context, both of which converge. My understanding is that initially people who were invited to view THE PASSION were religiously knowledgeable Christians. These people didn't need a context. They could be thrown right into the midst of the story -where the film opens - and completely know what was happening. But other people, the Biblically ignorant, the non-Christian; what about them? How are they supposed to know what is what and who is who? Add to this, the inference on Gibson's part that what he is portraying is actual history! It is NOT the portrayal of history as we of the modern world understand the word. It is the portrayal of some divine drama with a religious message, and nothing more. That it is set in a place that was on the map - Judea, and that it involves persons who actually did exist - Jesus the Nazarene, Pontius Pilate, etc, is beside the point. In order to see and understand these things as they actually did happen, and not the way the Holy Bible says they happened, one must at least be familiar with Jewish history. And how many people seeing this movie, Jew or Gentile, is that familiar with first century CE Jewish history? Even a person such as me who prides himself on knowing that history, knows very little of that time and place. Even scholars and historians of the subject admit that too much of first century Judea has been lost to us, unfortunately. All of which has made it easy for Christian traditionalists to present to the world their own supernatural version of the events as history. But whose history? Not Jews' history? Not even real Nazarene history! [For a detailed discussion of the term, "Nazarene", see my JESUS THE NAZARENE AND HIS JEWISH FOLLOWERS series on my website at http://www.shlomohsherman.com/literary/jn/index.html ]. Space and time do not permit me to cover every single point that can be made about the non-historicity of this film. I will cover merely a few, but you will get the idea. At the beginning of the film, the Jewish Temple Police Force come to arrest Jesus, the reason for which is not clear. Almost immediately they begin to beat him up. THIS IS NOT HISTORY. Unless a suspected criminal resisted arrest, he was not to be mistreated in any way, according to Jewish Law. As in America, although not written into any formal Constitution, Jewish law presumed a person innocent unless proven guilty! Therefore, unless convicted, he was NOT a criminal; he was merely a suspect! The Police bring Jesus to the High Priest, Caphaias. This is supposedly in the middle of the night on the first day of Passover. What is to be gained by not waiting for the holiday to be over? No Jewish priest would be interested in desecrating the holiday by dealing with a criminal matter or even a case of religious blasphemy on a holiday. The Sanhedrin, the Jewish justices, would not even hear a case on a holiday. 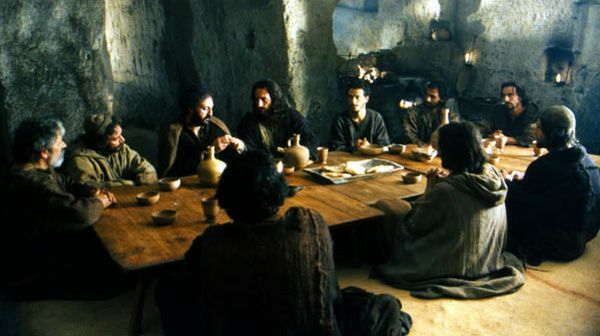 Yet the film, following the Gospel accounts, has Caphaias present Jesus, in front of a Jewish mob, who also have nothing better to do on Passover morning than to gather at the governor's residence to stir up trouble for a fellow Jew. 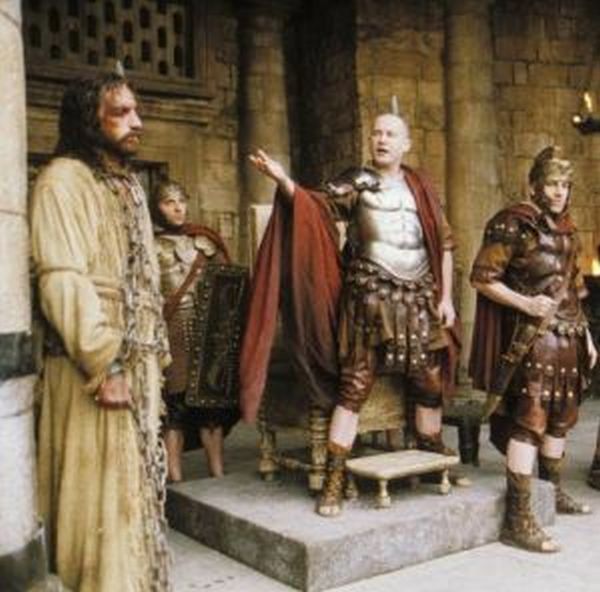 Caphaias pronounces the "crimes" that Jesus is guilty of, before Pilate the governor. He is a blasphemer [CHALIL]. He works his wonders through the aid of demons [SHEDAYA]. He says he can rebuild the Temple in three days if it is destroyed. He claims to be greater than Abraham and claims he is the son of God [BAR ELOHA]. So what? Blasphemy was a difficult thing to prove back in those days. And it was a very specific sin. Claiming to be greater than Abraham or that one can rebuild the Temple single-handedly, or even that one is God's son; these are not grounds for death. They are statements that get one thrown in a lunatic asylum or a punch in the nose, BUT NOTHING MORE! Then there is the episode of Barrabas! 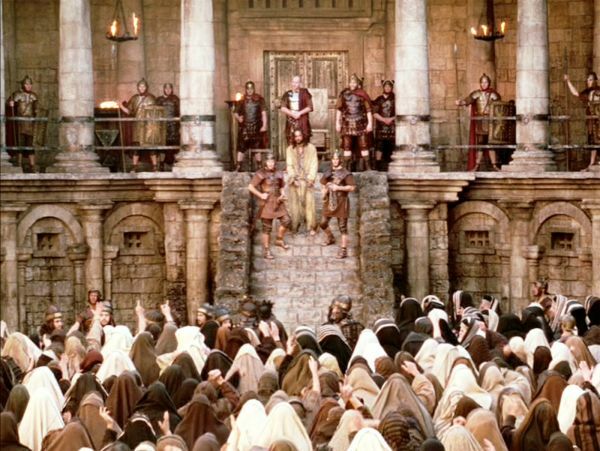 Pontius Pilate offers the "mob" a choice of prisoners to free, Jesus or Barrabas. The crowd shouts out for Barrabas to be released. The gospels do not really tell us who Barrabas was except to say that he committed murder in an insurrection that supposedly occurred the same week that Jesus got arrested. Several things about this are interesting. Firstly we know of no such Jewish or Roman custom of freeing a prisoner during a holiday, especially a murderer! Maybe such a custom existed. Maybe not. It's just that, beyond the Gospel, there is no documentary evidence for such. Be that as it may, what does it mean that Barrabas committed murder "in the insurrection"? Well, there probably WAS an insurrection that week and there were men who were considered the leaders of the insurrection, and Jesus and Barrabas were supposedly picked up as leaders, along with the two men, thieves, who were crucified alongside Jesus. And what about them, the thieves? What's that all about? The gospels are silent because they are not interested in history, especially Jewish history. There is no evidence that a person named Barrabas existed. Perhaps he did, perhaps not. The name is Aramaic and means either "Son of the father" or "Son of the rabbi". In either case, it could be, not an actual name, but a nickname of a prominent man or popular figure. He committed murder in the insurrection. More properly, not murder but killing of Romans. This figure, if he existed at all, was what we call a "freedom fighter". There is an uprising in Jerusalem against the occupiers and Barrabas is a leader and he kills Romans and Jewish supporters of the Romans. He is a hero and the "mob" wishes him to be free. The film portrays Barrabas as a maniacal idiot who laughs when he is set free. He looks at Jesus sheepishly and then laughs. In real life, this man who is set free would look upon Jesus as a fellow Jew, one who is in the custody of the Romans to whom Caiaphas has handed him over. Barrabas would not be some laughing idiot but a man to be taken seriously. And what about the two thieves arrested and executed with Jesus? Why even mention them? Why should they be treated the same as a blasphemer? The Greek of the New Testament calls them LESTAS. This word does not mean "thieves". 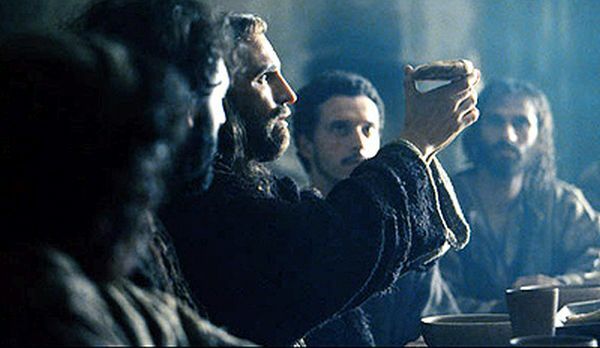 "Then saith one of his disciples, Judas Iscariot, Simon's son, which should betray him, Why was not this ointment sold for three hundred pence, and given to the poor? This he said, not that he cared for the poor; but because he was a thief." The word used for "thief" is KLEPTOS. So what does LESTAS mean? It means something like "mugger", "highwayman", "brigand". It describes a VIOLENT man who can commit murder to take away what he wants. That is not the same thing as a thief. There is no Jewish or Roman society that crucified people for thievery. But the Romans used the word LESTAS to describe Zealots or anyone who stood up as a freedom fighter. In this regard, the use of the word LESTAS by the Romans carries the connotation of our modern word, "terrorist"! We have here, beneath the surface of the Christian document, a story of an uprising, probably by Zealots. Barrabas is captured, the two LESTOI are captured, and Jesus is captured, each of them for an unspecified crime. What was Jesus' crime that caused the Jewish Police and the Roman governor to get involved with him? I speculate that it was the attempt by Jesus and his followers, as part of the insurrection, to take over the Temple. We have a small, very watered down story about overthrowing money changing tables. I think it was much more than just chasing merchants out of the Temple. "And they come to Jerusalem: and Jesus went into the temple, and began to cast out them that sold and bought in the temple, and overthrew the tables of the moneychangers, and the seats of them that sold doves; And would not suffer that any man should carry any vessel through the temple." What does carrying vessels through the Temple have to do with chasing out merchants? In my JESUS THE NAZARENE series, I point out that "vessels", KEYLIM in Hebrew, may possibly be a shortened form for KEYLIM SHEL MILCHAMAH, "weapons". In other words, as a leader of the insurrection, Jesus wanted to secure the Temple and prevent people such as Police or Romans with weapons from entering. It is speculation to be sure but probably more historically accurate from a Jewish point of view than the reports of the Evangelists. At least this theory makes more logical sense to me as a Jew about the reason for Jesus' death than some vaguely defined "blasphemy" or claims to be the MESHIACH. Finally I will comment on something that my Jewish readers have been waiting for. 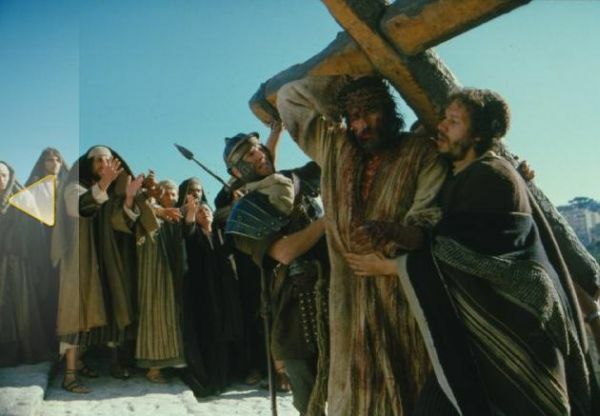 Namely, do I think that THE PASSION OF THE CHRIST is antisemitic? My answer is yes - and no! I do not believe that Mel Gibson, despite the fact that his father is a known Jew-hater, started out to create a film that was anti-Jewish. And despite the fact that some people say that the apple does not fall far from the tree, I personally have no proof whatsoever that Gibson JR is an antisemite. And be that as it may, I don't think he even thought of antisemitism in the movie one way or the other. He simply tried to follow the story of Christ's passion as faithfully true to the Gospel as possible. And as I have said, the gospels are not history. They are stories with religious messages to the Christian believer, but stories about symbols not about people, stories about paradigms of good and evil, stories about joy and suffering, not about historical personalities. As such, "the Jews" in the gospels are not real people; they are the REAL instruments of the gentiles' salvation, and they pay the price in just as hard and terrible a manner as Jesus himself! The movie merely reflects this. Here are some of the things I heard people say BEFORE I saw the movie. All Jews in the movie are portrayed as evil and maliciously ugly, with hooked noses. All gentiles are portrayed as sweet and noble. Jewish leadership is shown to be petty and meanspirited. The Romans are exonerated for their part in the passion and death. These things do not adequately describe the motion picture that Kenny and I saw. To begin with, if you want a comparison of who comes off looking worse in the film, more hateful and devilish, it is the Romans! They are made out to be absolute monsters without a shred of decency and compassion, all except Pilate of course. There is an irony here. The Roman leader is made to look like an angel and his followers are made to look like the epitomes of evil while with the Jews, it is opposite - the Jewish leader, Caiaphas is the heavy and the Jews, for the most part, are simple and ignorant dupes who just go along with him because they know no better and are easily swayed. This shows that Gibson has no real sense of Jewish history in which the Jews often give their leaders a hard time by NOT going along with them. What did the rebel Korach say to Moses? "Hey, why should we listen to you? One Jew is as holy as the next one. We don't need you to tell us what to do." That story in the TORAH is a great paradigm. That sounds like REAL Jews. The Jews of the gospels sound like straw men. 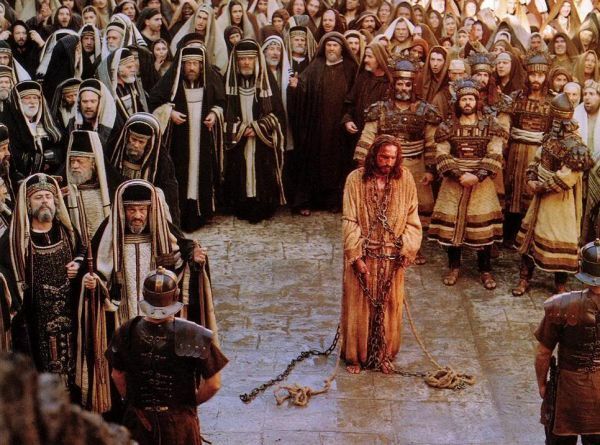 In the film, neither the Jewish leaders nor the crowd shows uniform animosity to Jesus. There are some priests who protest the trial and declare it is a mockery of Jewish custom. On the Via Dolorosa itself there is a sufficient number of Jews who are upset and crying, seeing Jesus carrying his cross. These are the mitigating things that gentiles MIGHT pickup in their viewing of the movie. There is also an incident in the scene along the Via Dolorosa that threw me somewhat. It is the scene involving Simon the Cyrenian. Yes! That's EXACTLY what Kenny said. WHO? It's one more example of telling a story on film without a context. I was able to follow all of it because I am thoroughly familiar with the story. But not everyone is. The story is as follows. Along the way, while Jesus is carrying the cross, the Romans are still abusing and beating him. He reaches a point where all of his strength deserts him and he can no longer bear the cross. In the crowd is a man named Simon, a black Jew from Cyrene, an area of North Africa that is in the modern Lybia. The Roman soldiers arbitrarily choose him and force him to carry the cross the rest of the way. Simon protests and finally is threatened by the Romans in a very nasty way. The soldier says to Simon, "I told you to carry it. Now carry it. JEW!" At this point, a new prospective opened to me. The Romans are not necessarily brutal to Jesus because he is a condemned criminal but because he is a Jew. Whether or not Gibson intended this or not, it comes across subliminally, or maybe not so subliminally. And by the way, lest anyone think that there is something special about Jesus carrying his own cross, there isn't. The Romans made EVERYONE sentenced to crucifixion carry his own cross. There is an allusion to it in the MIDRASH concerning the story of Abraham and Isaac ascending the mountain where Isaac is to be sacrificed by his father. The MIDRASH relates that Abraham made Isaac carry the wood for the burning in his own arms just as "one who bears his own cross to the place of execution." There is no doubt at what period in history the MIDRASH was composed. There is also no mystery as to why the early Christians made Isaac a paradigm for Jesus. All this being said, how is the movie antisemitic in my humble opinion? It is antisemitic simply by virtue of the fact that it is drawn from the pages of the gospels which themselves, if not antisemitic, gave rise to antisemitism. We can speculate about the reasons the gospels were written in the first place; namely to explain how Jesus can be the messiah promised by God even when that God and messiah allow Jerusalem and the Temple to be destroyed, to explain to gentile Christians that there is no need to rely on Jews as the people of God in order to support their faith in a messiah who is a Jew; to explain to the Romans that Christians are not the rebellious threat to the Empire that the Jews have shown themselves to be, to explain to the Jewish believers in Jesus that they, and not the majority of Jews and Jewish leadership, are the real Israel who have accepted Jesus' kingship, and finally to explain to the Romans that they need not feel ashamed in accepting Christianity that they were responsible for Jesus' death for really it was the Jews who rejected Jesus and had a hand in his death; the Romans were merely the ignorant instruments to carry out the sentence. For whatever reasons the gospels were written down, they quickly became the inspiration for the so-called Passion plays of Easter time. These Passion Plays shown throughout Europe became occasions for pogroms and expulsions and inquisitions, and finally the Holocaust itself. In the Gibson movie, a cry of the Jewish mob is left untranslated - but listening to the Aramaic, I was able to hear what sounded like YEHEY DAMO ALENU - "let his blood be upon us". "and upon our children" was lost to me in the noise of the movie. The original intent of the Evangelists is no longer very meaningful to us after 2000 years. Whatever their intent was, Christians have been moved to violence against Jews by their words and by the Christian leadership that has taught the words. For as long as the Gospel contains animus to Jews in its verses, it will be an antisemtic message to Jews even as it is a message of salvation to others. The verses cannot be purged or denied by Christians. Neither can Jews ignore them. 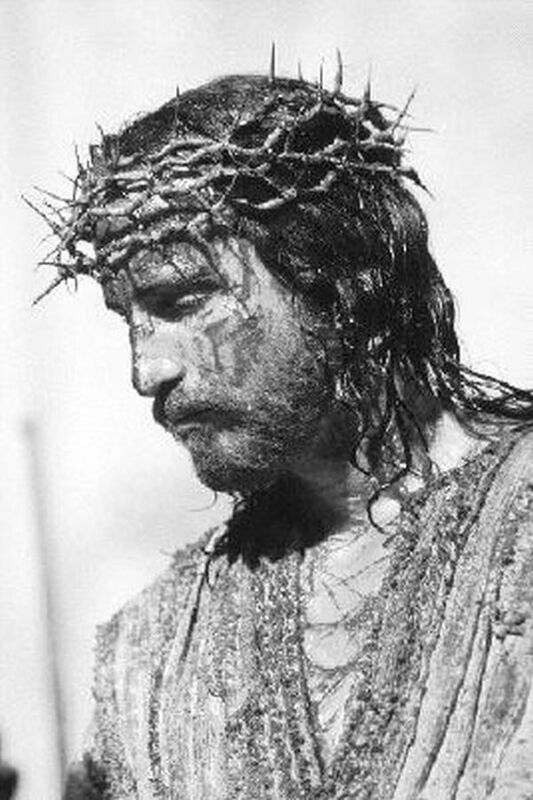 THE PASSION OF THE CHRIST is Mel Gibson's faithful rendering of the story of Jesus' last 12 hours on earth. As such, it is inherently antiJewish. What is troublesome to a lot of people is this. While Mel Gibson may not be an antisemite himself, he cares very little how his movie about people who are symbols will negatively affect people who are real flesh and blood. When all is said and done, even with the few mitigating scenes that show a few sympathetic Jews and lots of unsympathetic gentiles, I fear the message that people will take away is that Jesus WAS arrested by Jews, brought to the Romans by Jews, his crucifixion insisted upon by Jews, his blood called for by Jews, while a spiritually castrated Roman governor washes his hands of the whole mess and tells his captain to "give them [the Jews] what they want." And Jewish history is absent, or worse, denied by many Christians. The most famous Jewish historian, Josephus, tells us that Pilate was a cruel and heartless human being whose very governorship of Judea was terminated by Caesar after Pilate ordered a mass killing of Samaritans for some minor offense. But more. Even the Gospel tells of "the blood of Galileans whose blood Pilate mingled with their sacrifices" [Luke 13:1]. And wasn't Jesus a Galilean? This is my review. You are heartily invited to send me your comments about this review. Summary: I do hope there is a heaven, so I finally can ask to see a life of Christ worthy of its subject. 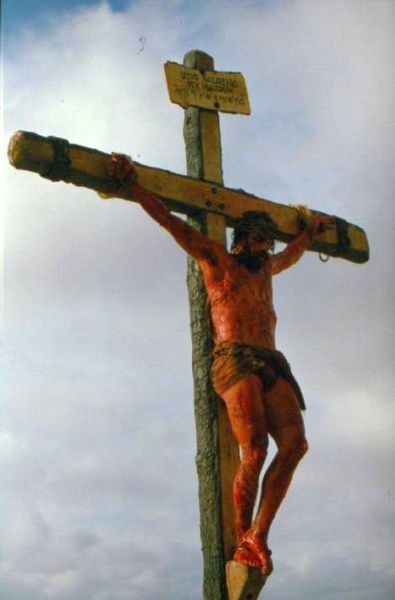 I came into `The Passion of the Christ' an agnostic; I left a true believer in the power of marketing. Director Mel Gibson has promoted this film to all of Christendom and more, engaging the pope enough to publicize his alleged remark that the film shows the way it was. This much-heralded version of the last 12 hours of Christ's suffering is a testimony to the fact that the meek won't inherit the earth: Be flamboyant about your film's controversial Jewish guilt, pull back the most incendiary comment from the film, and watch the silver coins roll in from all the residual controversy and the evangelical fervor over the film's realism. Did I say `realism'? Not the right descriptor. How about `cartoon'? 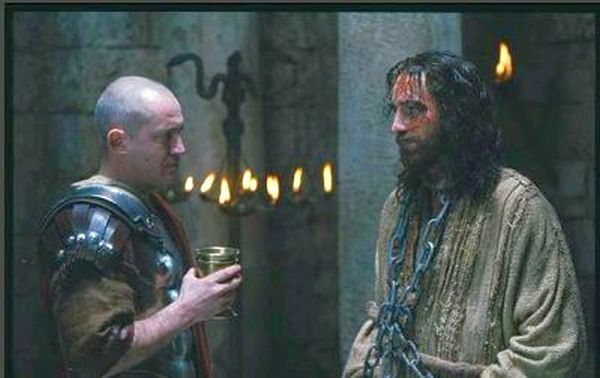 The torture of Christ, about which most of the film is orgiastic, is so unrelenting (No one could stand after 10 minutes of the Roman flogging, but Christ stands up and goes on) that it becomes laughable. The Roman soldiers are so over-the-top brutal they are caricatures of all thugs ever filmed. How a film about the arguably most influential Westerner who ever lived could be boring is a testimony to Gibson's unflagging earnestness in depicting the bloody torture for 2 hours until we finally cry out we understand the banality of evil! What's good about the film? The inspiration from Caravaggio's paintings (His `Taking of Christ' comes immediately to mind) gives the film a darkly elegiac tone. Also, the relationship between Mother Mary and Christ has possibilities: Her resigned and painful witness to her son's travails is the true reality of the film. I couldn't stop thinking what an extraordinarily complicated business it must be for a mother to believe in her son's teachings, believe that he is the Son of God, and watch while he is brutalized for both of those reasons. But Gibson doesn't expand this possibility because of his obsession over the purgative province of violence. He's not in this territory for the first time; his Lethal Weapon' series alone would qualify. The end turned out to be just as laughable as the ersatz torture: After the film-wide attempt at realism, Gibson has the rock roll back to show the corporeal Christ has miraculously risen. I do hope there is a heaven, so I finally can ask to see a life of Christ worthy of its subject. To read essays on this website regarding this movie, click HERE!